The actor Sawamura Otoemon II held the name of Sawamura Yodogorô I from the 11th lunar month of 1738 to the end of the 1730s or the beginning of the 1740s. An almost unknown actor held the name of Sawamura Yodogorô in 1758 and 1759. Dates of birth and death unknown. Son of Sawamura Otoemon II, he received the name of Sawamura Kikuji and made his debut on stage (hatsubutai) in the 11th lunar month of 1759, performing at the Nakamuraza in the kaomise drama "Shôgaichi Kaomise Matsuri". He became a disciple of Sawamura Sôjûrô II in 1766 and took the name of Sawamura Yodogorô II in the 11th lunar month of 1766 at the Moritaza, playing the role of Sanada Yoichi in the kaomise drama "Tsuno Moji Izu no Irifune", which also celebrated the shûmei of Bandô Mitsugorô I and Ichikawa Somegorô. He became jitsuaku in the 11th lunar month of 1778, performing at the Moritaza in the kaomise drama "Date Nishiki Tsui no Yumitori". He was active in Edo for more than 40 years and his last-recorded performance occurred in the 9th lunar month of 1800, when he played at the Ichimuraza the role of Haji no Hyôe in the drama "Sugawara Denju Tenarai Kagami". 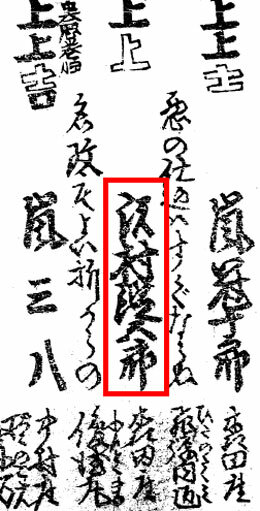 His ranking in the 1801 Edo hyôbanki, jitsuaku section, was one white stroke below jô-jô-(shiro)hankichi [visual]. Dates of birth and death unknown. The first stage name of this katakiyaku actor was Bandô Bunzô but his relationship to the Bandô clan was not known. His first-recorded performance occurred in the 11th lunar month of 1805 in Edo at the Moritaza. He took the name of Sawamura Yodogorô in the 11th lunar month of 1808 at the Moritaza. He was active up to 1817 and his last-recorded performance was in Ise at the Furuichi Shibai. No record afterwards. Born in 1853. He became a disciple of Sawamura Tosshô II and received the name of Sawamura Kimihei I in 1867. He took the name of Sawamura Yodogorô III in 1877 in Tôkyô koshibai. In September 1911 at the Imperial Theater, Sawamura Yodogorô III and his son Sawamura Kimihei II became both nadai and took respectively the names of Sawamura Rensha IV and Sawamura Yodogorô IV. No record for Sawamura Rensha I, Sawamura Rensha II or Sawamura Rensha III. 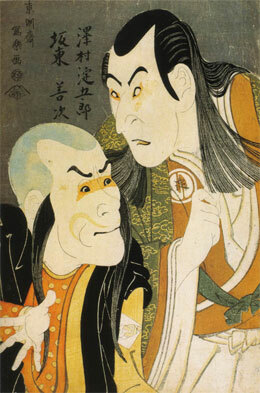 Rensha was the haimyô of Sawamura Yodogorô II. Sawamura Rensha IV died the 15th of February 1931. Born in 1893. Son of Sawamura Yodogorô III and disciple of Sawamura Sôjûrô VII, he started his career around 1903, performing under the name of Sawamura Kimihei II. In September 1911 at the Imperial Theater, Sawamura Kimihei II and his father Sawamura Yodogorô III became both nadai and took respectively the names of Sawamura Yodogorô IV and Sawamura Rensha IV. No record after 1936. Day of death unknown.